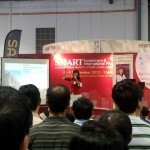 We had a good sharing session at the SMART EXPO that was held on the 8-9 September 2012. In my sharing session, I shared that while there are still some pockets of opportunities for investors in the Singapore market, there are more risks now than before due to the soaring prices despite cooling measures. The worrying part is when I hear many people saying that Singapore market ‘wu ki bo lok’ meaning ‘will only go and and never come down’. That is a wrong perception as those whom have been through several property cycles will know that. We are subjected to global economic performances. We are not immune to global weather storms. The economic data in US, Europe, China, Japan are not favorable. The ‘panadol’ effect of holding the prices up for a while, with the Quantitative Easing 3 should provide some form of price support but for how long, no one knows. Those whom have been through several property cycles will know that it is possible to lose money too. As the cooling measures are being administered to the residential properties, we are seeing a flurry of investors going into the commercial and industrial sector and therefore driving up prices. When you see the market moving from speculating and investing in residential sector and moving more toward the commercial and industrial sector, that usually mean the tailend of rapid growth in prices in almost all sectors. Why not explore the overseas property sectors. It would be important to be educated about the overseas market and beware of several marketeers out the selling overseas properties at marked up prices. Do not go in blindly. If you are getting into overseas investments, due diligence is crucial. You need to study into the track record of the developers. We even check if the developers have legal suits against them before investing. One of the overseas developers selling properties in Singapore has several civil and even criminal suit against them and yet many Singaporeans are investing in them. That is chilling! We would steer clear of such developers no matter how good a deal it seem to be. That’s the reason why I formed an investor network through our Property Riches Program to research on deals and also conduct due diligence checks before sharing. So, what should an investor do. Be aware that there are indeed good deals but there are also some deals that are sugar-coated toxic pill. 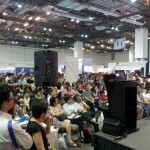 Keep an open mind and open eyes to overseas property sector. I have found very good deals with good upside gains and also good yields. Will share some of these deals on my blog soon. So, remember, there are property cycles and property prices do not just move in one direction, even though it seem to be the case for Singapore market since 2009. 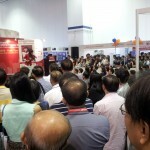 Keep an open mind to other opportunities that offer better upside gains and yields out of Singapore. Do your due diligence and understand the legal, financing framework and tax structure before investing. Good luck! Thanks, Wendy, for the talk I attended on 30/9. Will ask my husband to attend it one day. 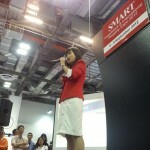 I want to point out a grammar error spotted in “Sharing at SMART EXPO…”; 4th paragraph, mid section. It should be: One of the overseas developers. Add the “s” to developer = one out of many (so should be plural). E.g: One of the girls has big eyes. Or, one of the children (kids) is a foreigner. investors must always Be aware that there are indeed good deals but there are also some deals that are sugar-coated toxic pill. And keeping open eyes to overseas property sector. These skeptics that believe the market will never drop don’t understand property investment or any other type of investing or that matter, the bubble will pop and people will buy. They’ll just have to miss the gravy train. In this worse condition where the economy of the world is facing the worst condition ever possible, people are getting frustrated to find out the best way to do with the funds. Such programs are really helpful for those investors who have already invested and others who are newbies in this line to find out the best ways of this time. Much would be appreciated, if we see this frequently. I agree that we are subjected to global economic weather storms. For as long as one country trades with another or other countries around the world, such country is not absolutely free from the ups and downs of the global economy. That is why it is always wise to think of ways to provide hedges against potential losses even though the economic condition of one’s country is performing pretty well at the moment. 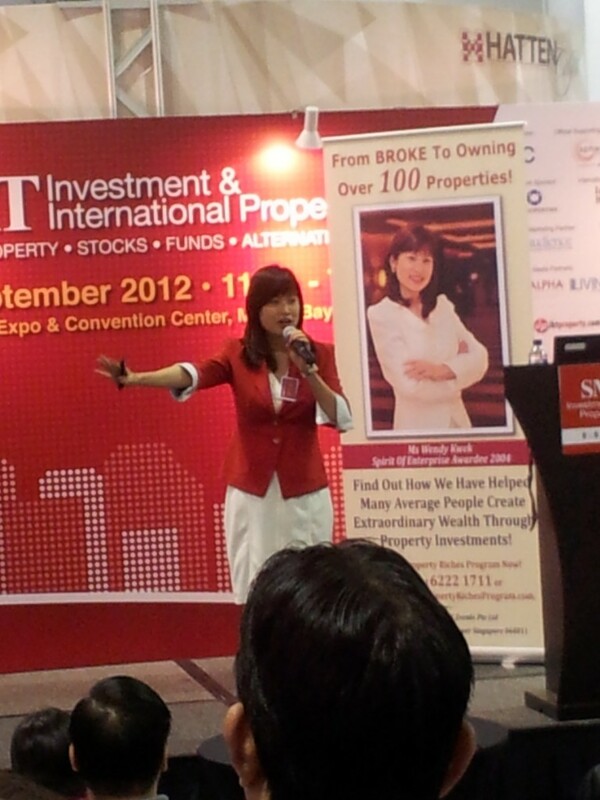 Wendy kwek is a renowned personal who always assist investor with fair advice. Many investors has listened to her and got benefited. Thanks Wendy kwek for her wonderful work and appreciation for the job. She is always by our side to sort out our problems in investing in new sectors. Hope she would continue her job and produce more articles so that we can read them and get benefited. Her articles inspires me a lot. Property investment goes in cycles of highs and lows. So while the market looks likes it will never come down again, it is a good idea to still keep your eyes open for new investment opportunities. Thinking outside of the box and considering commercial properties or investing in foreign countries might be good things to consider.